Hello Fuzedom! 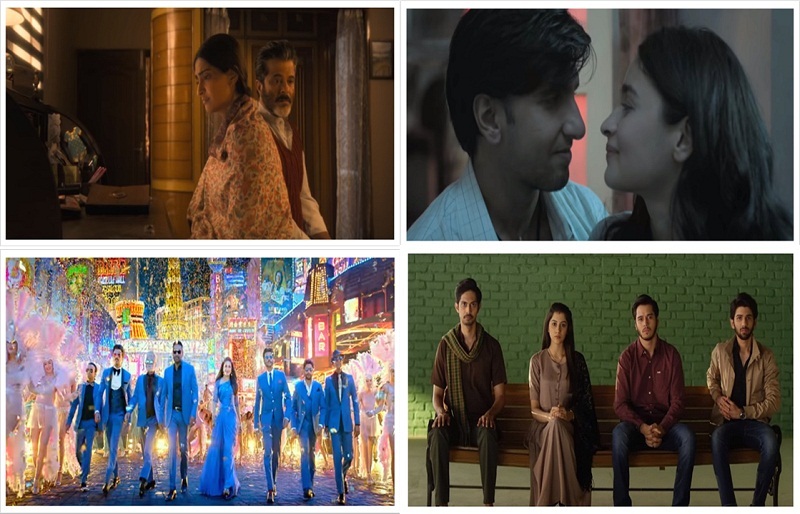 There are so many new Bollywood releases lined up for this February and it’s obvious to get confused as to, which ones to go for and which ones aren’t worth our money. Well, we cannot give you a review before the release but here are the 4 best February releases that can make you walk into the theatre. Starring – Anil Kapoor, Juhi Chawla, Sonam Kapoor, Rajkummar Rao. Summary – The trailer of the movie had us thinking at the start that it’s a love story between a guy and a girl but by the end, we were sure that it’s not the case. The film actually showcases the love story of a girl falling for another girl and hence the title, “Ek ladki Ko Dekha Toh Aisa Laga!” Though the film received mostly positive response from the netizens but still, this movie will definitely be termed as a bold step by the makers because they cannot be sure of how the audiences’ will react when they will watch the movie in theatres. Apart from being the first film where the father daughter duo , Anil Kapoor and Sonam Kapoor will share the screen space, this film also marks the comeback of Juhi Chawla. JUST IN – When Parth Samthaan Congratulated Niti Taylor! I liked Ek ladki ko dekha toh aisa laga!!!! Frankly I did not like Gully Boy trailer!!! !